← Is the U.S. Prepping to Airstrike Iran? As The New York Times reports, the U.S. Department of Education is considering a move that would allow states to use federal funding to purchase guns for schoolteachers. The department is constantly considering and evaluating policy issues, particularly issues related to school safety. The secretary nor the department issues opinions on hypothetical scenarios. In other words, it is premature to fret about where the funding may come from if, in fact, the policy is adopted. Green is not the only liberal commentator to raise concerns about arming teachers. 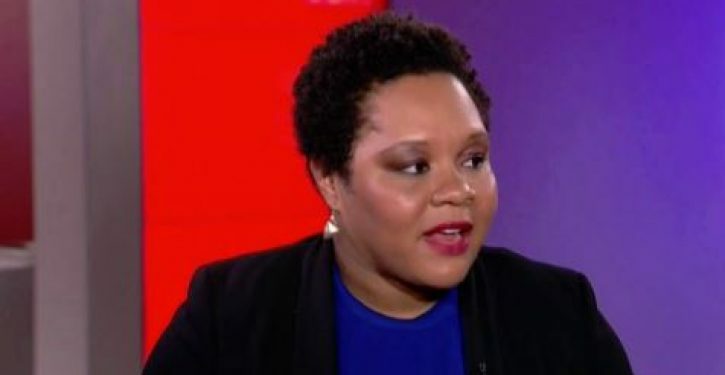 The topic was broached yesterday on MSNBC, where contributor Yamiche Alcindor aired her fears that teachers might be more inclined to shoot minority students if they are permitted to enter the classroom armed. Aclindor states her case starting at around 0:40 in the video that follows. There are many reasons to be against President Wayne LaPierre Donald Trump’s idea to arm teachers in public schools. It’s dangerous. It’s expensive. It changes the core-competency of “teaching.” And, you know, it’s not actually going to deter mass shooters. I know that because the only other group of public employees that is armed at the behest of the state shoots unarmed people of color on the reg. The cops actually receive extensive training on how to use their firearms, how to asses threats, and how to deescalate situations, and yet they still murder innocent civilians all the time. Giving a teacher a gun is ASKING them [sic] to be afraid. It makes poor judgment a homicidal offense. And that danger will be borne by black and brown students. The students who make teachers “afraid” just by their very existence.